Information: We will use our best efforts to ensure that the information on this site is complete and accurate. However much of the information is from third parties and www.jobs.india.vc is not able to check the accuracy or completeness of that information. www.jobs.india.vc does not accept any liability arising or alleged to arise from any inaccuracy, omission, wrong statement however caused in any information on this site, or any liability for information on this site provided by you or any third party. 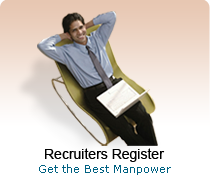 Registration and passwords - Use of this site to apply for vacancies posted on this site is only available if you have registered. You will need both a user name and a password. You are solely responsible for the proper use and security of your chosen password. 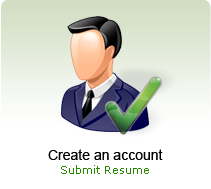 www.jobs.india.vc accepts no liability for any unauthorised use or disclosure of any password or user name. Putting information onto this site - You may put onto this site; details of job vacancies, provision of services relating to employment, candidate resumes in the form and through the processes provided for on the site. You are solely responsible for the information that you submit to this site. You are responsible for ensuring that all information you supply is accurate, truthful, not misleading or likely to mislead or deceive. You will ensure that the information is not obscene, offensive, discriminatory, defamatory or otherwise illegal or in breach of any Legislation, regulations, codes of practice. You will ensure that the information does not breach copyright, trademark or other intellectual property rights of any individual or legal Entity, corporation or organisation in any jurisdiction. You guarantee before posting information to the site that all information data and files, which you intend to upload to this site, are free of viruses or other routines/engines, which may damage or interfere with the site's operating programs. Removal of information - We reserve the right at our sole discretion, and without being required to give any explanation, to remove any information that you have supplied to this site at any time and for any reason. Use of information supplied by you - You agree that any information supplied by you (including without limitation any personal sensitive data) may be used by www.jobs.india.vc to further the administrative working of the recruitment process including processing and storing of the information and making such information available on line to prospective employers and those seeking employment or services associated with the search for employment. We may use third parties to help process some or all of the information you provide. We may use information you supply to provide data for our own analysis of the functioning of the site and the services we provide, and share such information with third parties without disclosing individual names or other identifying information. Termination of user right - www.jobs.india.vc reserves the right to refuse a registration, to terminate a registration at any time and/or to deny you access to all or any part of the site at any time in our absolute discretion and without notification or explanation. Liability - We accept no liability for any loss direct or indirect for loss of business revenue or profits, expenditure, corruption or loss of data or for any other indirect or consequential loss whatsoever arising from your use of this site. We exclude any such liabilities whether in contract (including claims of negligence), tort or otherwise. We exclude all representations, warranties and conditions relating to this website and your use of it to the maximum extent allowed by law. Changes to Terms and Conditions - www.jobs.india.vc reserves the right to change from time to time the Terms and Conditions relating to the use of this site. You agree that you accept the terms and conditions as amended when you next use this site following any amendment. Violations of Terms & Conditions - If www.jobs.india.vc in its sole discretion, determines that a violation of the Terms & Conditions has occurred, it may pursue any of its legal remedies, including but not limited to the immediate deletion of any offending material from its site or/and cancellation of User's account and/or the exclusion of any person(s) who may have violated any Terms & Conditions. It could also pursue violators with claims that they have violated various criminal and/or civil law provisions as applicable under the relevant Acts/Rules. www.jobs.india.vc will cooperate with any investigation by any Central or/and State or/and local body or/and any court or/and tribunal having the competence to carry out the same. Such cooperation may be without notice to the User. If it believes in its sole discretion that any advertisement or/and services may create liability for the site, it may take any actions that it believes are prudent or necessary to minimize or/and eliminate its potential liability, including but not limited to, the release of User information. In sum, www.jobs.india.vc reserves the right to refuse service to anyone at any time, or/and to remove any listings or/and any advertisements for any reason, and without notice. Notices - All notices shall be in English and in writing and (a) if sent to the User to the address identified on the Application Form and (b) if sent to the Company to such address as provided in writing for such notice purposes; provided, however, that all invoices and payments shall be sent to the attention of the Company's respective representative. The notice will be assumed to having being properly served upon issuance of the same to the address provided by the "User".